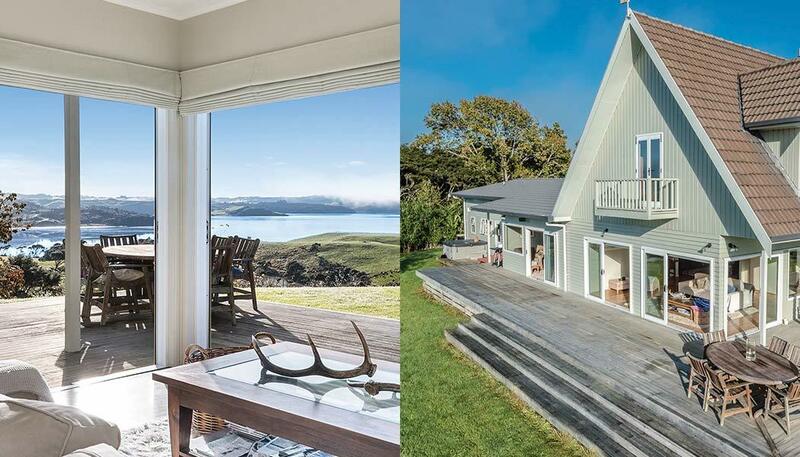 A large coastal property, on the shores of Raglan Harbour, finishing around 1100 head of cattle is for sale. Richard Thomson of PGG Wrightson Real Estate, Hamilton is selling the 790 hectare Kauri Flat, Te Akau property, which he says has impeccable improvements and an exceptional suite of lifestyle attractions. “This truly is an A list property with scale, aesthetics and strong productive land. Currently a large beef finishing farm, running bulls and steers, its standard of infrastructure cannot be faulted. “Improvements undertaken in the last ten years include two new sets of cattle yards, a well-designed race system with electric fencing throughout and extensive fencing of all internal waterways. 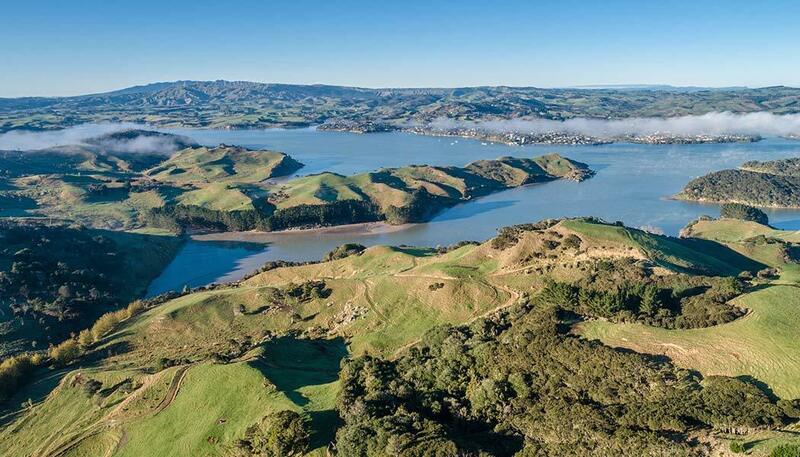 “Aside from its productive base, lifestyle elements include duck shooting, marlin fishing from an all tide boat ramp built for an eight-metre boat, whitebait, a water ski lane and native bush. 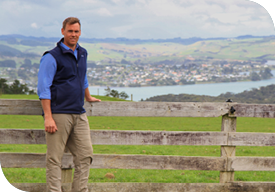 A perfect lookout over the constantly changing harbour is an outstanding and unique feature for such a high-quality farm,” he says. Four modern dwellings, comprising two large six bedroom homes and two cottages, have all been built on the farm, or extensively refurbished, in the past decade. Recently renovated to a high standard, the main home is well positioned, facing north for all day sun. More than 25 kilometres of fully fenced harbour frontages give the property another strong farming benefit, according to Richard Thomson. “Due to its extensive water boundaries, the farm only has one neighbour. Therefore, potential contact with other cattle is minimal, and if necessary, the stock could be essentially quarantined. For example, if the property were to become a high-end stud business, with strong incentive to protect the genetics, it would be easy to isolate the stock, which in the current circumstances presents as a significant advantage,” he says. At present, stock comprise an approximately even mix of bulls and steers, predominantly Angus, with some Charolais. Richard Thomson says the steers are typically brought in from elsewhere in the North Island at around 270 kilograms and sent out within 12 months at double that weight. Bulls come in at between 290 and 300 kilograms and leave at between 650 and 800 kilograms. Located 60 kilometres west of Hamilton and 40 kilometres north of Raglan by road, crossing the harbour to Raglan is a much shorter journey. “Under earlier ownership the farm ran as two independent properties. That operation could easily be reinstated, dividing it back into a 430 hectare and a 360 hectare unit, each of which has two modern homes and can be run separately with its own water supply and reticulation, race systems, yards and other farming infrastructure. “If separated, one of these units would suit as a dairy support property. “In total, the farm comprises of 14 different titles, and on that basis, in this location, will carry significant land bank value for any purchaser with one eye on the long term,” he says. Richard Thomson is selling the property on behalf of Miles and Vicki Worsley, who have owned it since 2008 and have several off-farm business interests.